Latvian National basketball team has kicked off the EuroBasket 2015 exhibition game series with two wins — against Poland and Slovenia. Regardless of head coach Ainars Bagatskis’ game plan for both of the scrimmages — when “Buggy” clearly weren’t going in for the win — Team Latvia was able to pull off a couple of nice W’s, sending the Slavic opponents home. The goal to start the preparation games was to run different roster options and make young players feel comfortable with the roles assigned. Game 1 versus NBA’s own Marcin Gortat and his squad has started slowly with Latvians shooting poorly and letting Team Poland work the boards. As nervousness cooled down, the home team was able to gather and win during the last minutes, edging the guests 84-82. Game 2 with another NBA talent Zoran Dragic leading Team Slovenia did not scare the young Latvians off. Coach Buggy tested their roles out by having the alternative roster on the floor and not making a substitution when he would normally do. Final score 72-66. 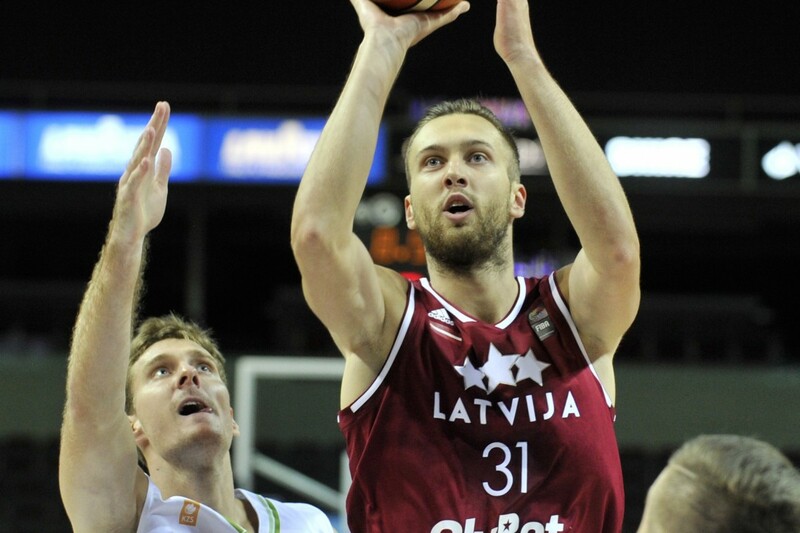 Latvian National Hoop squad will continue the EuroBasket 2015 prep games in Tbilisi, Georgia from August 14 to 16 against Georgia, Estonia and Italy, then in Hamburg, Germany against Germany, Turkey and Poland, to be back home and conclude the exhibition series with a home game against Macedonia on August 29 in Arena Riga.